He placed 1st or 2nd in every tournament entered including the CIF Valley. I became head coach for 16 yrs. He helps run the Coyote, League, Valley, Master’s & the CA State Tournament. One of the founders of the Kern County Jr Wrestling Assoc. He started program at West & won the SYL League & Dual Meet Championships. Served as the announcer of CSUB Wrestling Home Duals, officiated High School Wrestling, Organized and Coached the Orange County and Kern County High Schools Summer duals. He has volunteered his medical services at every level of amateur wrestling in the world. He has been the CIF State Wrestling Championships Medical Director, the USA Wrestling medical pools, a tournament physician for the PAC 10 & NCAA National Championships. He had a 2 year record of 66-3, became a High School AA Honorable Mention & wrestled at Cal Ploy SLO. Ed has been a coach for the past 37 years. In McFarland, he has produced 19 league champss, 15 SS placers, 6 Section placers & 6 state qualifiers. He coached Yuba College to 2 Conference Titles. At Shafter (157-38-2), they won 8 SSL Titles and 10x 2nd, 2002 Valley Runner-up & 2003 Valley Champions. He was the 2003 Bakersfield Californian Wrestling Coach of the Year & 26 years as CIF Sectional League Rep. He was 4th in the Valley, Junior College State Champion & 2x AA. Coached 15 years with the Kern County Junior Wrestling Program and assisted at Bakersfield College. He officiated various High School, Junior College, and NCAA Div I wrestling matches in his career. He was a ClF Champion in 1966. Won 4 SYL titles with 3 years undefeated coached BHS to first top 5 finish at State Meet in 1980. 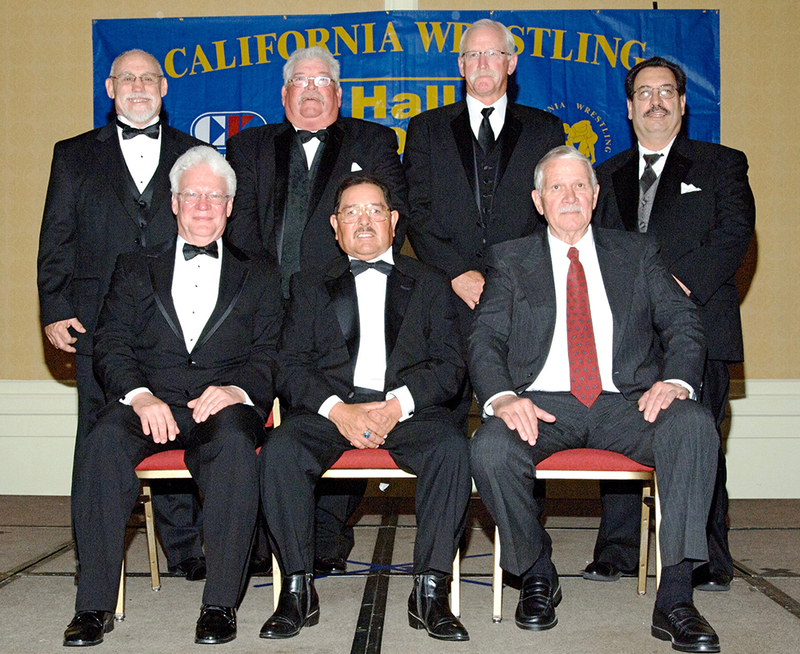 He was a Board Member of Kern County Wrestling Association, Coyote Club, league rep to ClF & youth and club coach. He was an undefeated Central Section Champion (1972) & runner-up at the State JC meet. He coached a State record 9 placers, 7 finalists, and 4 champions in one year winning the State Team title and was the National Coach of The Year (2002). He was a CIF Central Section Champion in 1966. He coached at Victor Valley (306-71-10) to13 League Championships, 10 went undefeated, 109- 10 in league dual meets, 1987 CIF & California State Wrestling Champions & ranked eighth in the Nation. He was a CA State JC AA & NCAA DII AA. He coached Bakersfield College (194-48-2) to a CA State JC State Championship & 2nd place. He was the 2003 & 04 California State JC Coach of the year 2003-04 NWCA California National Coach of the Year. He placed 2nd & 1st at the PIAA State Championships & 3rd at the Jr Nationals. He won the 1991 NCAA Division 1 Championship & placed 5th. Coaching at the JC level, his teams have collectively won 6 State Titles & he was CA State Coach of the Year 6 times. He was 3rd in the CA High School State Championship (1978). At Cal Poly, he compiled a record of 112-16-1, 2x NCAA Division I AA, placing 2nd his senior year. As a head coach at Columbia University (1991-2000), Columbia had some of its most successful seasons. He was 4th in the Ca State Championships, HS National Champion (FS & GR), 2x NCAA Champion, 4x NCAA AA, 1999 World & Pan-Am Champion, US Freestyle Champion &1996 Olympic Alternate. Played 10 years in the NFL with the Patriots-4 Super Bowl Rings. He was a CA State High School Champion, 3x NCAA AA, placed 2nd in the NCAA Tournament, 2x NCAA DII Champion & was named the OW & won the Most Falls Award. 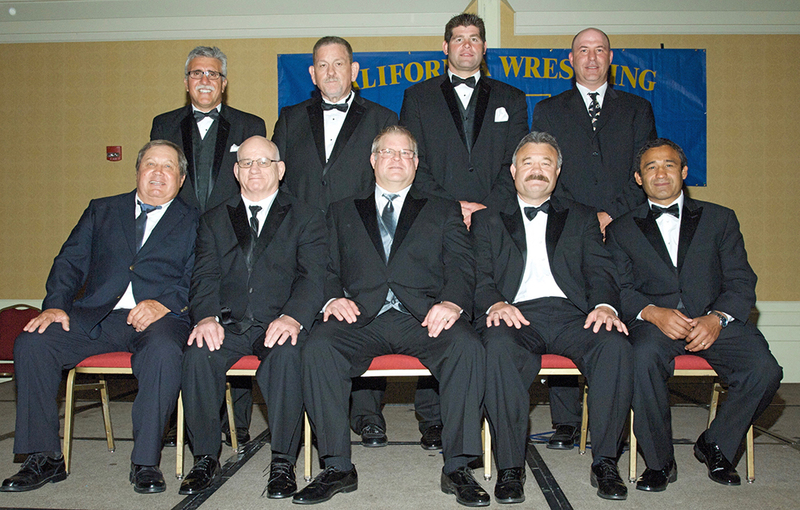 At Cal State Bakersfield, the NWCA named Pope the ”National Assistant Coach of the Year”. He was 4th in NCAA DII, 2x DII Champion & OW, NCAA DI National Champion, 1984 East-West All Star Classic Champion, Kern County Sports Personality of the Year & with a record of 151-22-1. At Purdue, he was the winningest coach in the schools history. He was undefeated at South Bakersfield High School, 2nd in the Junior World Games in 1971, 2x State JC All American, placed 2nd in DII Nationals, NCAA National Division II Champion, 6th in the World & won the Gold Medal in the Pan American Games.